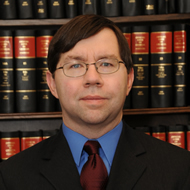 Roland has been a member of the Georgia Bar since 1994. Roland’s practice includes representing electric cooperatives and related entities in corporate, finance and regulatory matters, negotiating and drafting contracts, including construction contracts, and handling complex business transactions and commercial litigation. Roland has represented and advised clients including Georgia System Operations Corporation, Georgia Transmission Corporation, many Georgia electric membership corporations, H&M Company, Lincoln Property Company, the Georgia Department of Transportation, Gwinnett County, Georgia, and the City of Milledgeville. Roland primarily works out of the firm’s Northeast Atlanta (Tucker) Office.